Kaha Ra Mirimiri is an ancient Indigenous holistic body therapy practice that uses various tools, elements and rituals to release cellular memory from past, present and future. It honours all the layers of who we are, to awaken us in remembering our whakapapa going all the way back to the stars and first birthplace of humanity as ancient Lemuria; Re-calibrating our DNA, releasing ancient wounding/ emotional trauma and supporting us as part of our ascension process on the planet at this time. THE MEDICINES OF MU – Lemurian Temple arts and Technology Weekend Retreat. 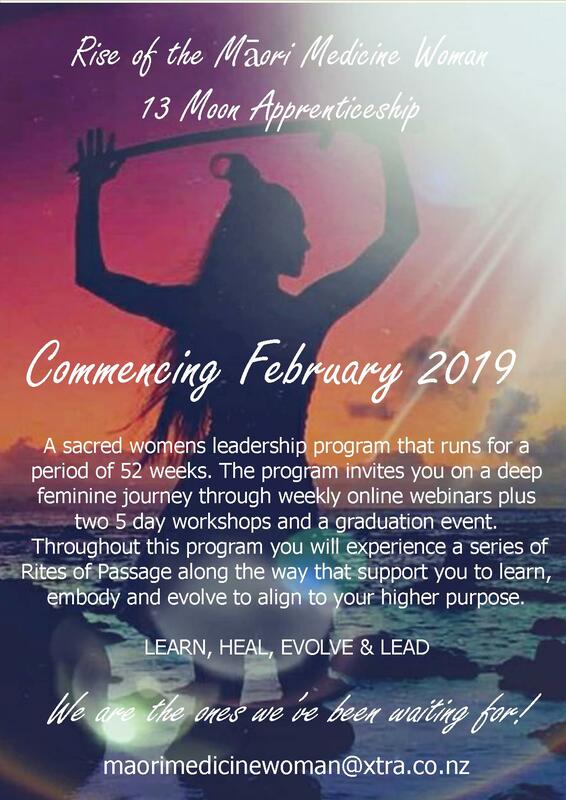 o	Experience and embody a multitude of sacred rituals to honour your body/mind soul from the ancient temples of Lemuria. o	Eat divine vegetarian/Vegan high vibration kai. o	Access your taniwha (dragon) body and other aspects of your multi-dimensional self. o	Learn to heal deep wounds by tapping into various timelines and transforming the experience. o	Learn to bend matter connecting to the Alchemist inside of yourself using many tools from the ancient temples. o	Be a part of the huge uprising of the divine feminine collective consciousness and light intelligence that is transforming our world. Welcome onto the rainbow bridge. Looking forward to journeying with you onboard this stunning waka. 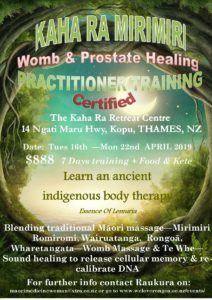 Three of us would love to attend the SACRED MAORI MEDICINE JOURNEY wānanga. Myself, Kath O’Keeffe and Jeff Shepherd. Hi, just wondering if you have 2 spaces for the Sacred Maori Medicine Journey 12/6/16 ? Yes there are still spaces available. I will send you further information via email. I do require a $50 deposit to secure your booking. 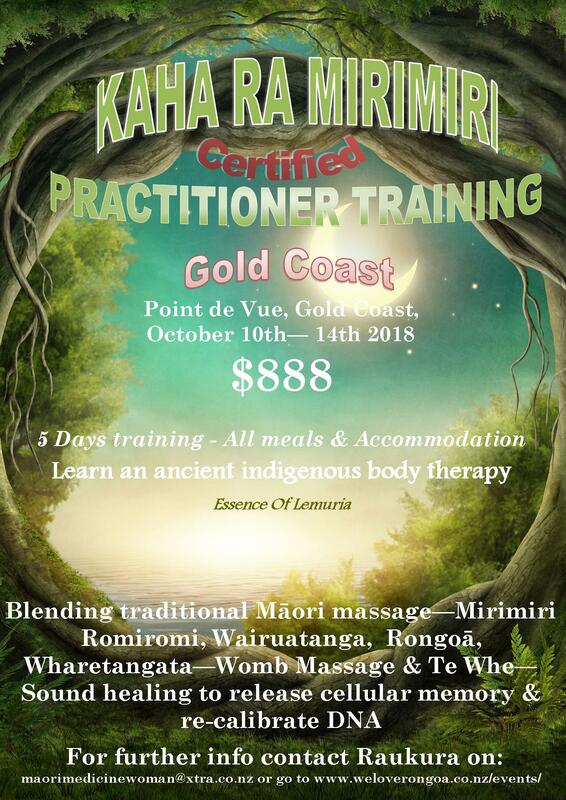 Hi Raukura….love to do the Sacred Maori Medicine Journey. Thank you whaea…Yes, this is very exciting! I can’t wait to deliver it to the world. Kia ora Anaia, The cost of the Sept wananga is cheaper due to there being 3 meals less. It is very much hands on massage, deep and light body work. Please check out my website to find out more about the Kaha Ra Mirimiri Massage. Hi Linda, Im a naturopath in Thames and am keen to build up my rongoa awareness with native plants. What workshop do you think would suit me best? Thank you for your inquiry regarding the rongoa training that I provide. It’s great to see that there is another naturopath in Thames. I too trained as a naturopath, but decided to go down the rongoa route. There is a wananga on Sunday the 21st August, which I would like to recommend for you to attend. I will hold space here at my whare in Kopu. I can send you a bit more information via email. Is there a place for me in your September course please. 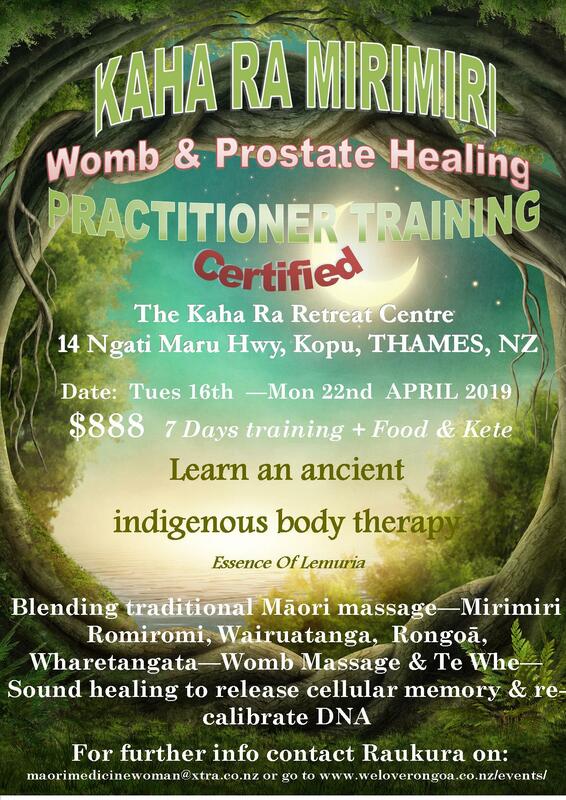 I am very interested in coming to your next Sacred Maori Medicine workshop on 2 October. Would you be able to email me further details in particular how I would access your retreat if fying from Wellinton? For instance closet airport, driving time etc? 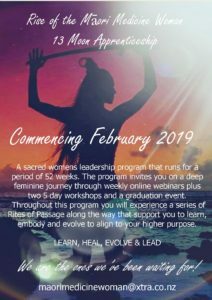 Im putting deposit for 26th-29th workshop plus $50 in via online checkput for the rongoa I am ordering delivery to my mums place.